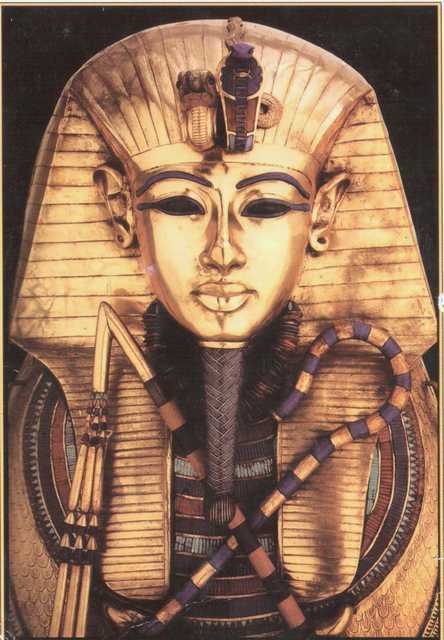 Tutankhamun's mask, also known as the funerary mask of Tutankhamun, is the death mask of the 18th-dynasty Ancient Egyptian Pharaoh Tutankhamun (reigned 1332–1323 BC). It was discovered by Howard Carter in 1925 in tomb KV62 and is now housed in the Egyptian Museum in Cairo. The mask is one of the most well known works of art in the world.